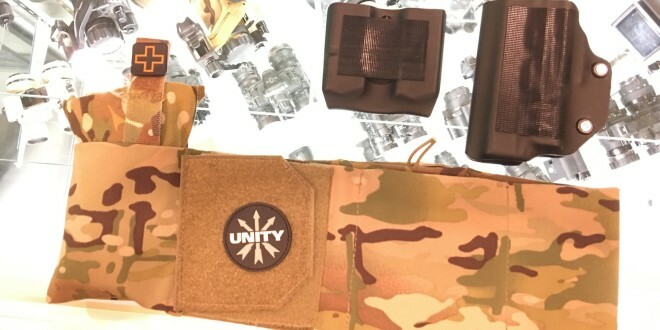 TNVC/Unity Tactical CLUTCH Belt Covert Combat/Tactical/Battle Belt with 2-Way-Stretch Fabric, BlackPoint Tactical Kydex Concealment Holsters and Mag (Magazine) Carriers/Pouches, and Gen-2 PMAG Mag Base Plate! (Video!) 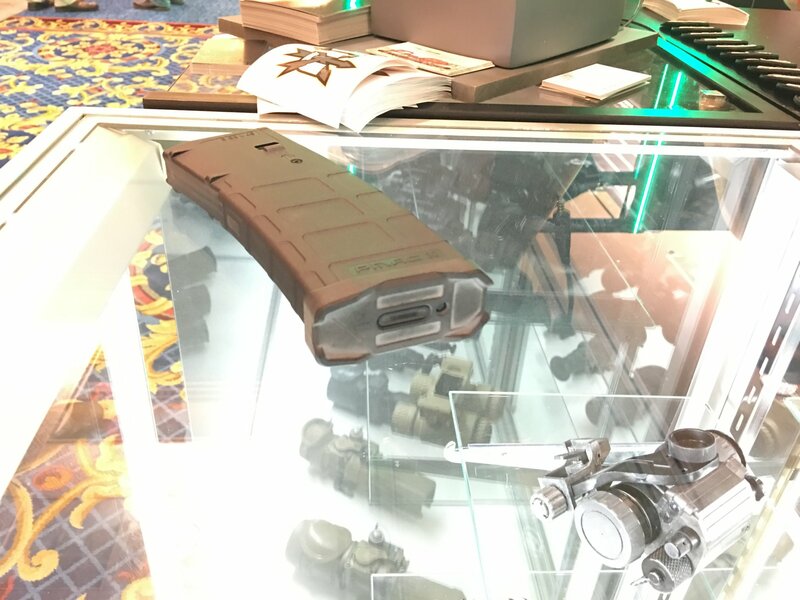 | DefenseReview.com (DR): An online tactical technology and military defense technology magazine with particular focus on the latest and greatest tactical firearms news (tactical gun news), tactical gear news and tactical shooting news. 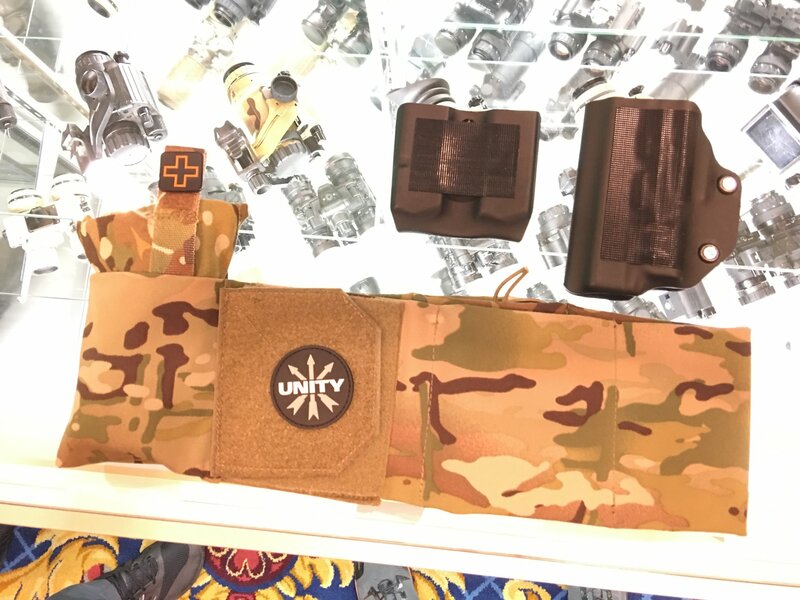 Speaking of interesting Tactical Night Vision Company (TNVC) and Unity Tactical products at SHOT Show 2016, Trent Zimmer also showed DefenseReview (DR) an interesting covert combat/tactical battle belt called the CLUTCH Belt, which was outfitted with a BlackPoint Tactical pistol holster and pistol and rifle mag (magazine) carriers/pouches, and he also showed us the new TNVC/Unity Tactical Mag Base Plate for Gen-2 PMAG rifle mags. 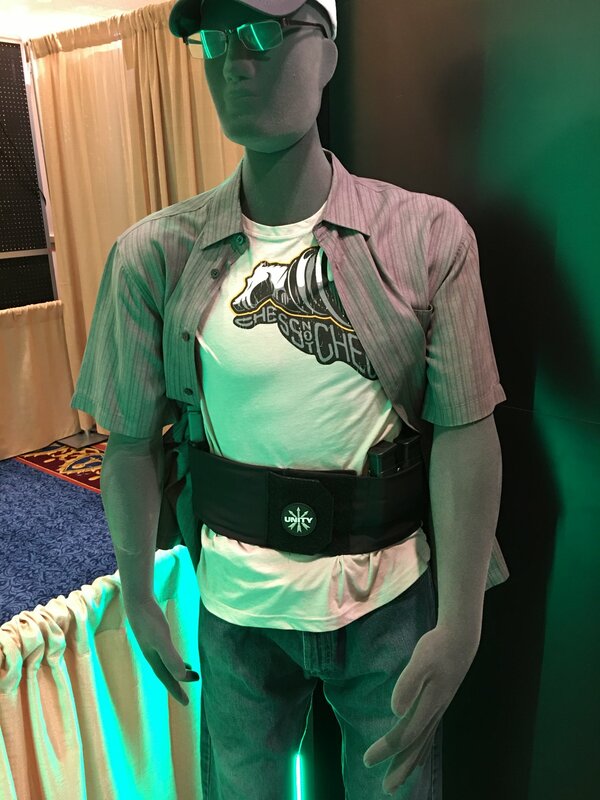 The TNVC/Unity Tactical Clutch Belt is designed specifically for covert/concealed carry for operators engagedd in covert ops (operations)/missions, but it can double as a quick-don emergency-response combat/tactical/battle belt for active-shooter/counterterrorism ops. 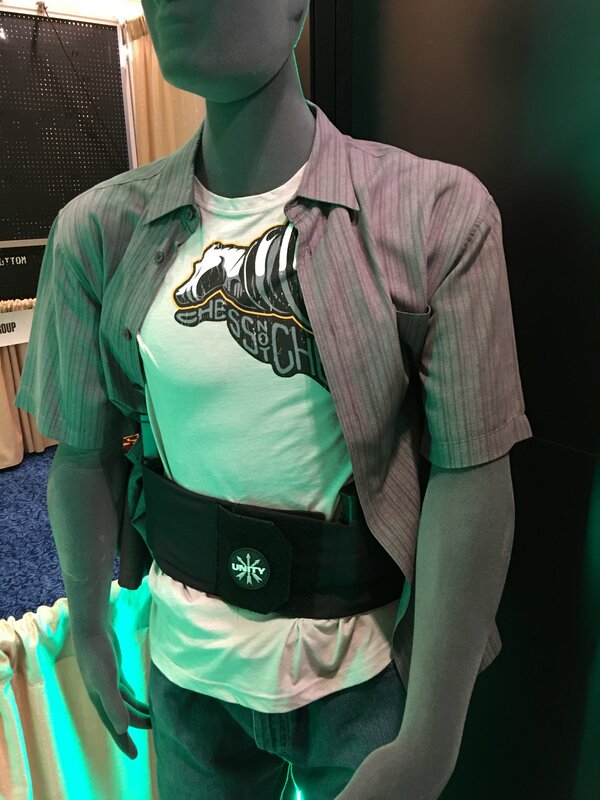 It’s made from thin, comfortable 2-way-stretch fabric, and can be worn inside the waist band (IWB). 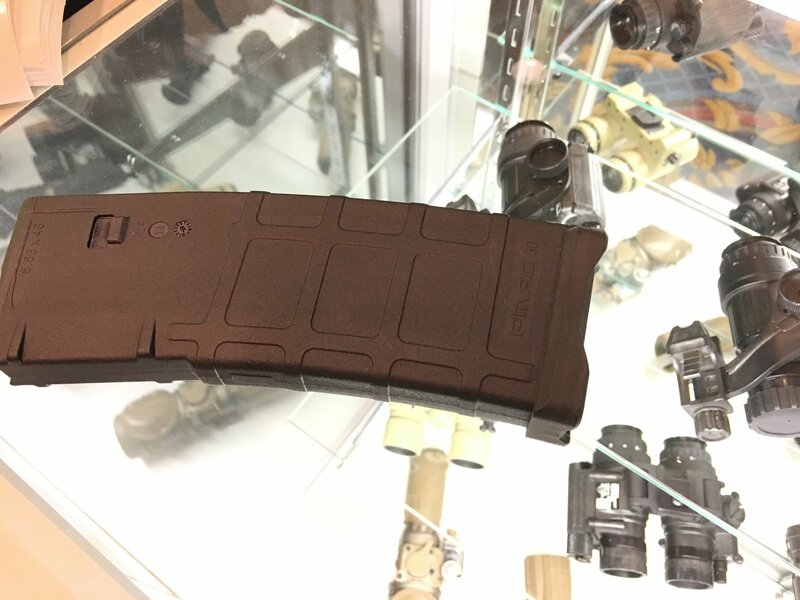 The TNVC/Unity Tactical Mag Base Plate for Gen-2 PMAG rifle mags is also interesting, in that it features a new lock AND an indicator that pops out if the magazine is fully loaded to 30 rounds. If the mag isn’t full, the indicator stays flush. 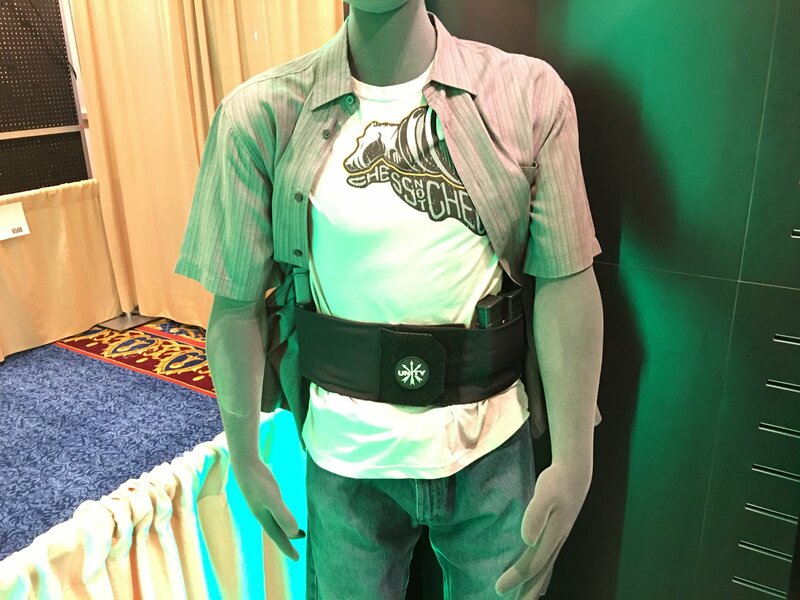 This allows the end-user/operator to tell if the mag is fully loaded through tactical feedback during nighttime ops, without the need to view the mag using NOD’s/NVG’s or thermal/IR (Infrared) optics. Handy.